PERFORMERS’ PORTRAIT—Above, teens in costume and adults working behind the scenes on “Solanus: Blessed in America, The Story of Blessed Solanus Casey, O.F.M. Cap.” take a group photo July 30. The musical, written by Father Erik Lenhart, O.F.M. Cap., is being performed Friday, Aug. 3, in St. Genesius Gymnasium on the Catholic Youth & Family Ministries campus in Garrison. BLESSED SOLANUS ON STAGE—Cast member Nate Rosengrant, 16, tries on his costume with assistance from Paula Stuckart in St. Genesius Gymnasium at the Capuchin Youth & Family Ministries campus in Garrison July 30. The teen from Middletown, Conn., is one of 23 young people performing Friday, Aug. 3, in “Solanus: Blessed in America, The Story of Blessed Solanus Casey, O.F.M. Cap.” as part of the six-day Catholic Literature & Arts Summer Program overnight retreat. Cast members work with music director Linda Moore. LAUGH LINES—Teens share a laugh during a rehearsal for “Solanus: Blessed in America, The Story of Blessed Solanus Casey, O.F.M. Cap.,” in St. Genesius Gymnasium on the Capuchin Youth & Family Ministries campus in Garrison July 30. Twenty-three teenagers began their six-day Catholic Literature & Arts Summer Program retreat July 29. A performance of the musical is set for Friday, Aug. 3. Mckenzie Malcolm is ready for what her next performance may bring. The parishioner of St. Columba in Hopewell Junction is one of 23 teens with roles in “Solanus: Blessed in America, The Story of Blessed Solanus Casey, O.F.M. Cap.” at St. Genesius Gymnasium on the campus of Capuchin Youth & Family Ministries (CYFM) in Garrison at 7 p.m. on Friday, Aug. 3. The teens are participating in the six-day Catholic Literature & Arts Summer Program retreat to prepare for the one-hour musical, which was written by Father Erik Lenhart, O.F.M. Cap. Ten adults are also on the retreat, assisting the students in rehearsals and working behind the scenes on the production. Mckenzie and the other teens arrived in Garrison July 29 and were going through the script together for the first time the next morning, which happened to be Blessed Solanus’ feast day. They were waiting to learn their roles in the show. “I’m excited Father Erik wrote this play because I’ve never done a Christian play about someone who may become a saint,” Mckenzie, 16, told CNY. She is the winner of this year’s St. John Paul II Award for top female teenage contributor at CYFM. Blessed Solanus was beatified last November at a Mass held at Ford Field, home of the NFL’s Detroit Lions. Although Blessed Solanus is best known for his service in the Archdiocese of Detroit, the Capuchin Franciscan friar served for 20 years in the archdiocese early in his priesthood. He was assigned to Our Lady Queens of Angels, East Harlem, 1921-1924; Our Lady of Sorrows, Lower East Side, 1918-1921; and Sacred Heart, Yonkers, 1904-1918. Father Lenhart, who wrote the screenplay and lyrics, is the director of the production. “I just think this is a great moment of celebration for the Church. Not just celebration, but Solanus also is a gift to us, with his good example of gratitude and thanking God ahead of time,” Father Lenhart said. Wylie Malcolm, 17, of Middlefield, Conn., learned about Blessed Solanus from his grandmother, Rosemary Malcolm, who died earlier this year. She grew up on a farm in North Branch, Mich., during the Great Depression. Blessed Solanus would visit three times a year to collect food to bring to the poor. Faith Gold, 16, is the fifth person in her family to attend retreats at CYFM. She remembers her older siblings being happy and sharing their experiences when they returned home from the center. “Everyone here is so welcoming, and I remember when I first came here I felt like I was at home. It was a place where I belonged,” said Faith, a parishioner of St. Joseph in Somers. She will play a cajon, a percussion instrument of Peruvian origin, in the musical. “I’m excited to learn about Solanus Casey, and to bring my musical gifts and combine them with my faith,” she said. 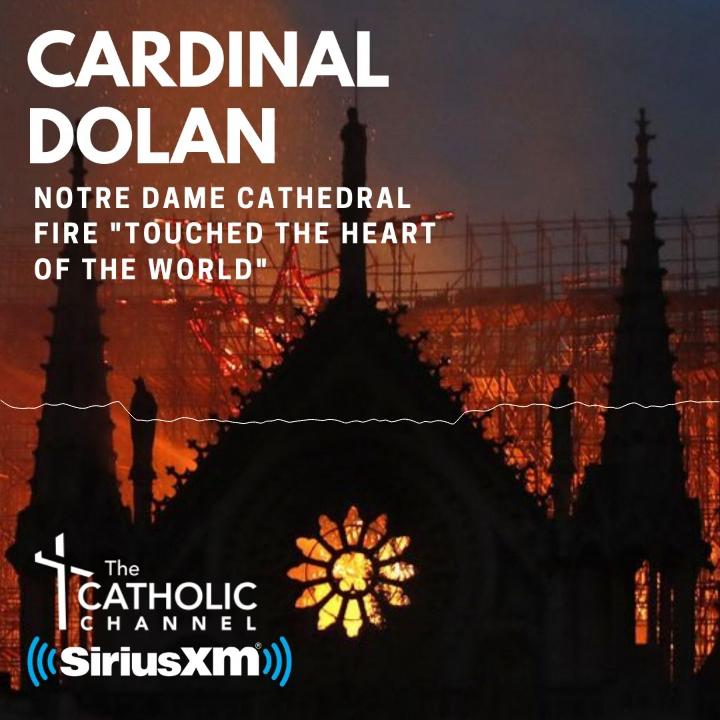 Sister Marie Pappas, C.R., the host of “Pathways of Learning” on Sirius XM satellite radio and the director of religious education at St. Columba parish, said she was thrilled to be asked to be part of the production after she interviewed Father Lenhart on her show. “It’s not about the performance. It’s learning what Solanus learned by living the Gospel way of life. We want them to feel it, and if they can feel it, they can begin to live it,” she said. Paula Stuckart, a five-time Emmy winner in her 15 years as an ESPN producer, believes the play will help to make Blessed Father Solanus’ name known to a new audience. “It’s important for the young people because they can go and evangelize what they’ve learned to their peers and get those kids excited to learn more about the saints. It may help them follow their faith a little more deeply,” said Ms. Stuckart, a parishioner of St. Pius X in Middletown, Conn.